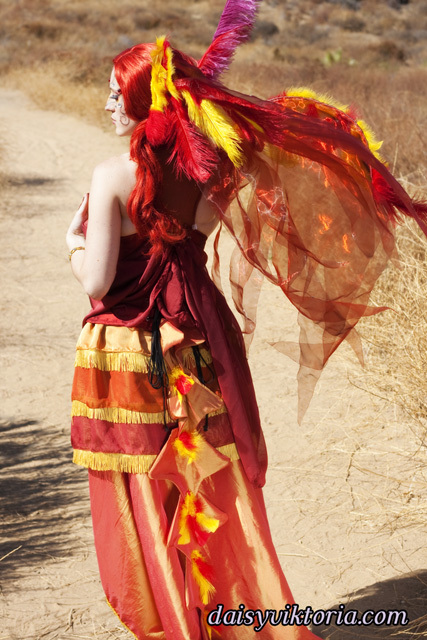 This is my Phoenix design. 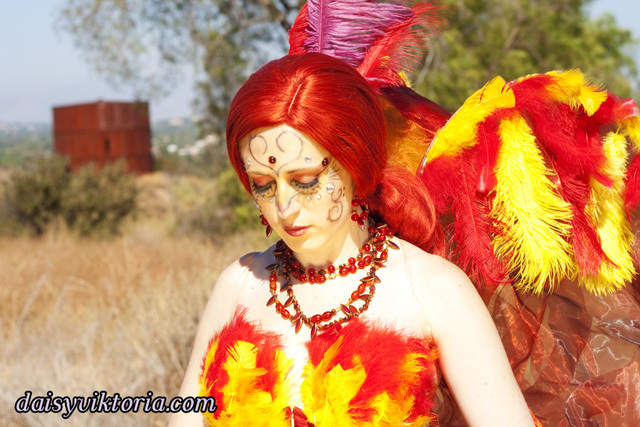 The Phoenix embodies the spirit of fire as she rises from the ashes. 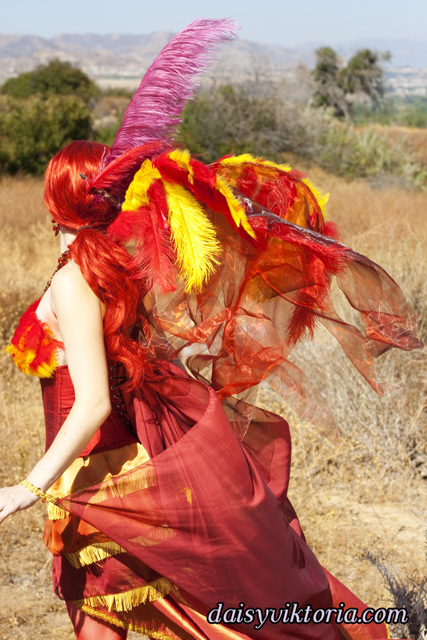 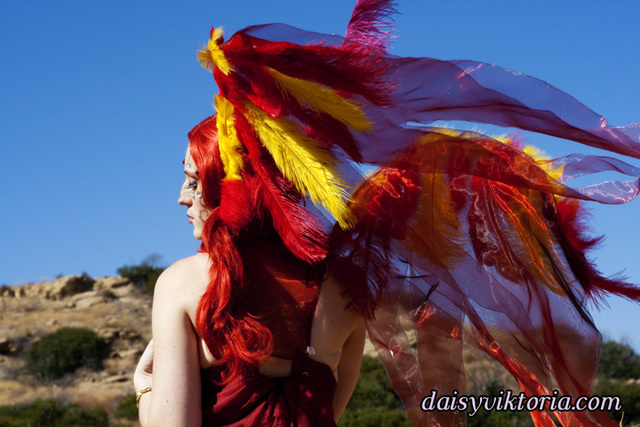 The costume incorporates flowing materials to give an ethereal firey feeling and feathers to simulate the bird spirit.